At City Line Chiropractic, we take great pride in providing the finest chiropractic wellness care to our patients. 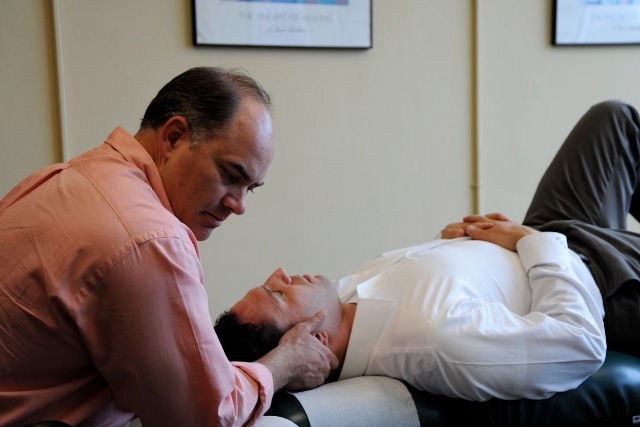 Below is a sampling of the different chiropractic services we offer in our Bala Cynwyd office. What Safe Alternatives to Surgery and Drugs Does City Line Chiropractic Offer? City Line Chiropractic offers the most advanced therapies for diagnosing and treating all kinds of injuries -- new and old -- without drugs or surgery. Based on your problem areas and types of pain you experience, Dr. Seward employs a combination of therapies for each patient. Spinal Adjustment: Dr. Seward gently adjusts the bones of the back into proper alignment to ease pressure on the nerves in the spine in order to alleviate back pain. Water Therapy: During each visit, you'll spend 15 minutes relaxing on a bed of warm water and massaging jets that help your muscles relax before an adjustment. Electric Stimulation: If your muscles are exceptionally tight, applying gentle electric waves will also help your muscles relax before adjustment. Decompression Therapy: A non-surgical procedure used to reduce or eliminate pain caused by bulging, herniated, degenerative or ruptured discs, as well as Sciatica and Carpal Tunnel Syndrome. Laser Therapy: One of the newest forms of non-invasive treatment, Laser Therapy uses a concentrated stream of light to quickly heal damaged or inflamed tissue. Patient may feel a pleasing warm feeling during treatment. Pain relief is felt often only after a few treatments. Dietition John Rickards, RD, LDN: John Rickards is a Registered Dietitian through the Academy of Nutrition and Dietetics and Licensed through the State of Pennsylvania. He has been doing corporate and outpatient counseling for the past few years, working with a variety of clients ranging from children to seniors with various health conditions. Prior to that, during his graduate studies, John was a Graduate Assistant Strength and Conditioning coach; working with Division I athletes from a number of sports. He is credentialed as a Health Care Provider to except coverage from a number of insurances companies for Nutrition Counseling. He is currently in the process of completing his masters work at LaSalle University and is an Adjunct Professor at Manor College in Jenkintown. Acupunturist Julie Schwartz, M.S., L.OM: Julie currently has her Master's of Science degree in Traditional Chinese Medicine from the American College of Traditional Chinese Medicine. She is licensed by the Pennsylvania Medical Board and is a National Diplomate in Acupuncture. In her practice, Julie uses various modalities such as acupuncture, herbal medicine, cupping, moxibustion, and nutritional therapy. As a health care provider, she sees many patients with a wide variety of conditions. Julie frequently treats patients for fertility, cancer care, stress and anxiety, menstrual disorders, emotional concerns, digestive disorders, addictions, injuries, and pain management. Acupunturist Julie Schwartz, M.S., L.OM Julie Schwartz, M.S., L.OM., earned her Bachelor of Arts degree from the University of Wisconsin-Madison. While living in San Francisco, Julie worked for several years at the University of California-San Francisco, both at the Osher Center for Integrative Medicine and at the Cancer Center. She also maintained a busy private practice. She has relocated to her home town of Philadelphia to continue her work using Traditional Chinese Medicine. She has clinic locations in Center City and Bala Cynwyd. 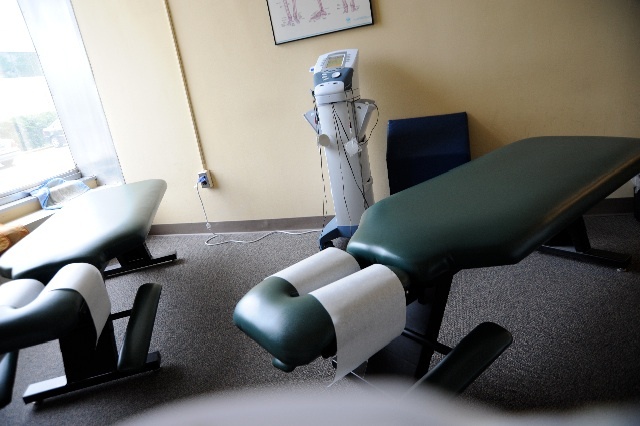 Massage Therapy & Stretching and Exercise Regimens: Sessions with a certified massage therapist areavailable to City line Chiropractic patients, and Dr. Seward can also recommend stretches and exercises that can be done in the gym, at the office or at home. These exercises can improve the effectiveness of your spinal correction by as much as 30-40%. In addition to skeletal misalignment, muscles and connective tissues can be out of place or strained by improper alignment and use. Specific exercises and stretches can help your body stay in balance and in health, as well as reduce your day-to-day back and neck discomfort. *Benefits would need to be verified by Rachel. 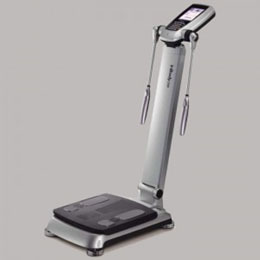 Using the Inbody 230 we are able to provide a quick and reliable way to measure body composition. This testing involves standing bare foot on the scale. After the analysis is complete, the individual receives a personal results sheet, indicating body composition measurements, and an explanation of results. Data provided allows for the tracking of individual progress and health risk. Insurance coverage for nutrition counseling also provides coverage for this test, which may mean NO COST TO YOU.